I looked at the Japanese Feather stitch and I don’t know what “ssk” stands for. Can you tell me? thanks!! Maybe someday I will try this. It means slip, slip, knit. 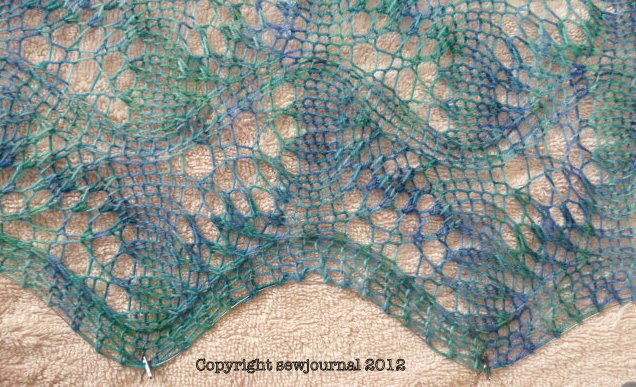 It’s the equivalent of knit two together but the stitch slopes the other way. That is absolutely beautiful, and I am going to “attempt” a similar one. I say similar as I’m not a very good knitter and goodness knows what it will turn out like!! Could you tell me though, what the finished measurement was, please? Good luck with the scarf. I had to undo it a fair bit to begin with but when I concentrated and had the pattern in my head it was quite easy. When it was blocked the scarf measured 38cm wide and 135 cm long. 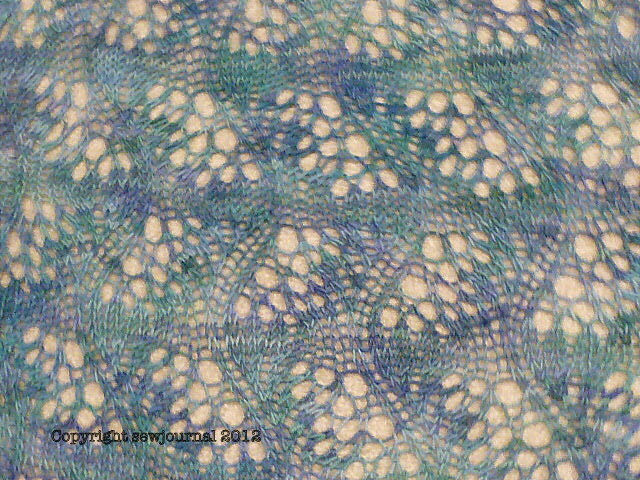 Oh my, what a Dreamy combination of yarn and pattern. I JUST love looking at your scarf. Thank you for sharing and more happy knitting to you! You did such a beautiful job with your scarf. 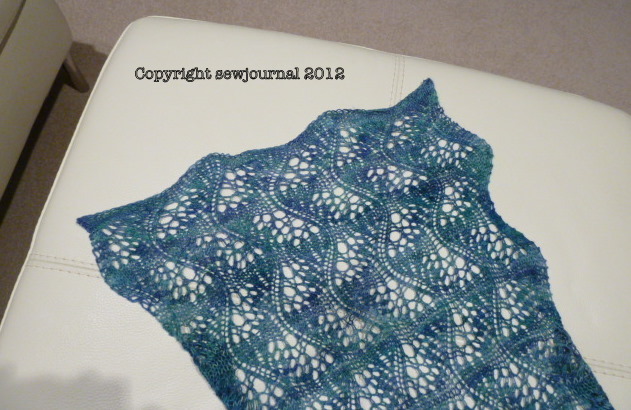 Could you tell us how many skeins of yarn you needed, and als how long was the finished scarf after blocking? Thanks a bunch. Sorry I gave the scarf away and so can’t measure the length for you I just did it until I felt it was long enough. As for the number of skeins of wool, I have a feeling I only used one but I couldn’t swear to it as it was a long time ago.